ICiPS standard of professional practice were developed by a collaborative of practitioners and academia. 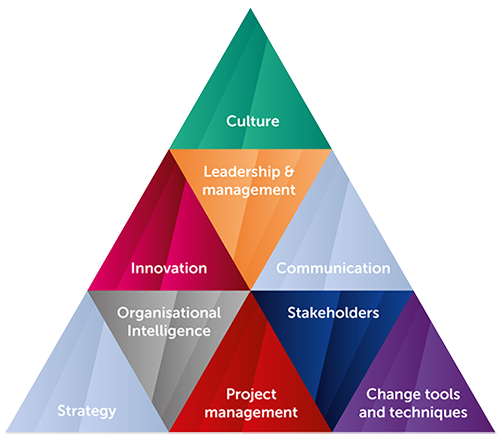 The aim of the standard is to provide a common framework that recognises the competencies required to embed continuous improvement. These areas are shown in the triangle below. There are three levels of professional member, each requires evidence of underpinning knowledge, applied knowledge and behaviours. Download a copy of the professional members standards. We also have fast track entry for those who have been on an ICiPS Recognised course. A list of these can be found on our training provider page. There is no time limit, you can develop knowledge in a way that suits you, and evidence is drawn from your daily work. Your portfolio of evidence is completed online. Ready to apply or have a question? Get in touch using our contact form.